Accurate has complete CNC lathes with the ability to machine 1/2” to 10” diameters in lengths up to 24 inches. 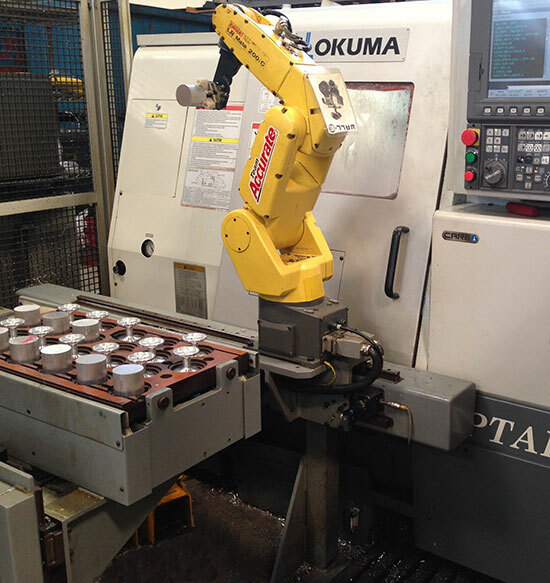 Other machines include Swiss 7 Axis screw machines with capabilities of 1/8” to 1 1/4 “ diameters in lengths to 24 inches plus CNC Horizontal Milling Centers with Multi-Pallets and Vertical CNC Mills. With decades of experience in the aerospace industry Accurate has the knowledge and expertise to successfully make any precision parts to your specifications. The Accurate Story: It’s Not the Same Old Grind In the past half-century, Southern California’s aerospace industry has experienced its share of turbulence. Taking off and climbing fast in the early 1950s, the industry held course through more than one bumpy ride, including an early 1990s financial tailspin, before ascending again into the new millennium. Yet one small, family-owned company, started as a “job shop” in 1950 in Los Angeles, California, has not only survived fifty years of the moody aerospace manufacturing business; it has flourished in the process. The company’s founder, Michael DeMarco, was a man who believed that success came only by holding quality and precision to the highest standards. Fittingly, the name of his fledging shop reflected that belief: Accurate Grinding & Manufacturing Corporation. In an industry where company start-ups and shut-downs have reflected the impacts of contracts, competition, Cold-War posturing and the country’s economy, Accurate Grinding & Manufacturing has continued to grow on all fronts: technology, personnel, equipment, processes, manufacturing space and production volume. Yet this leading-edge, high-tech, third-generation family operation — like many other small Southern California shops spreading their figurative aerospace wings — had humble post-war beginnings. Starting in 1950 with a few machines and a single contract with Garrett AiResearch of Torrance, California, Michael DeMarco developed an aerospace-parts production facility that subsequently developed business relationships with a veritable Who’s Who” of aerospace icons: Douglas, Northrop, Boeing and Garrett’s successors, Allied Signal and Allied Signal/Honeywell/Ge. Yes, today, some fifty years later, Accurate still remains a major vendor of its original contract account, the AiResearch/Allied Signal/Honeywell/Ge entity. Accurate Grinding and Mfg. 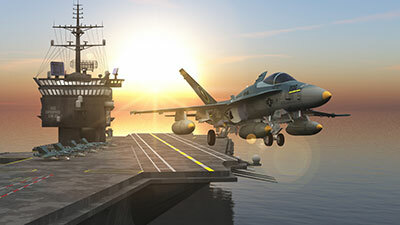 Corp. began at a time when aircraft turbine engines were becoming more mainstream and required extreme close-tolerance aerospace components such as shafting, bearing carriers and mounts, seals, slingers, retainers, air bearings and shafts. Today, the company still specializes in close-tolerance components produced from a variety of aerospace materials, including stainless steels, alloy steels, titanium and aluminum. For virtually the first two decades of manufacturing, Accurate utilized non-computerized, manually adjusted and operated machines. Then in the early 1970s, the second-generation co-ownership of Joseph DeMarco and Jack Nilsen brought Accurate into the computer age. Jack oversaw the introduction and operation of sophisticated, high-tech CNC (computer numerically controlled) lathes and grinding machines, while Joe proved his expertise in the financial arena, setting budgets, planning expansion and negotiating contracts. Together, they brought Accurate from old school to new technology,” says Jack. The 1990s were a time of sweeping changes for the company. First, government defense-contract work suffered a downturn and didn’t rebound until 1995. Accurate faced a challenge: innovate or downsize its work force. Jack’s two sons, David and Douglas, already principals in company management, were also avid saltwater anglers, like their dad. In a stroke of ingenuity and insightful adaptation, the brothers established a new division of the company — ACCURATE FISHING PRODUCTS — which applied aerospace technology and the finest materials available to the manufacture of premium-quality fishing tackle. Beginning with precision-made fishing gaffs, Accurate Fishing Products soon began producing aftermarket fishing-reel component upgrades and eventually, in 1997, launched the first of a series of complete reels of revolutionary design. 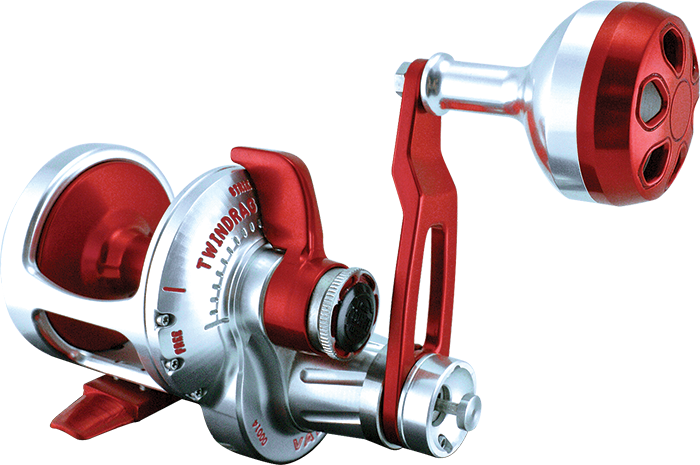 So enthusiastically were the new dual-drag-system, Platinum TwinDrag offshore reels accepted by anglers worldwide that in 1999 the company introduced a second series of inshore reels, the Boss TwinDrag- models. Demand for the unique, patented drag-system reels surprised even the Nilsen brothers and called for a rapid ramping up of production capabilities.Today, a younger force is helping to mold and guide Accurate’s future, both in aerospace and the sportfishing industry. David and Douglas Nilsen now jointly oversee day-to-day operations of the company’s 50 workers, while Jack Nilsen still plays an active role. Both David and Douglas hold degrees in Business Administration and have also completed three years of specialized schooling for certification in CNC programming and design, manufacturing and engineering, and CAD-CAM (computer-aided drafting and computer-aided machining). In 2000 and beyond, Aerospace contracts continue to dominate the work schedule. The Accurate facility, expanded again in 1999, includes a complete state-of-the-art machine shop operating in conjunction with a precision grinding shop and a full-time, self-directed inspection department devoted exclusively to SPC-integrated quality control. Company personnel are also skilled in use of the elite Pro Engineer CAD-CAM software program and have built their own unique software management program to administer and control job flow, process status, in-process volume, elapsed time and operator identification. Accurate’s facility and manufacturing processes meet all requirements of Mil-I-45208A, is AS9000 and ISO9002 compliance Accurate is also an approved, source delegated vendor for all Allied Signal/Honeywell/Ge companies, a distinction earned through years of longstanding, consistent and unsurpassed quality-control abilities. 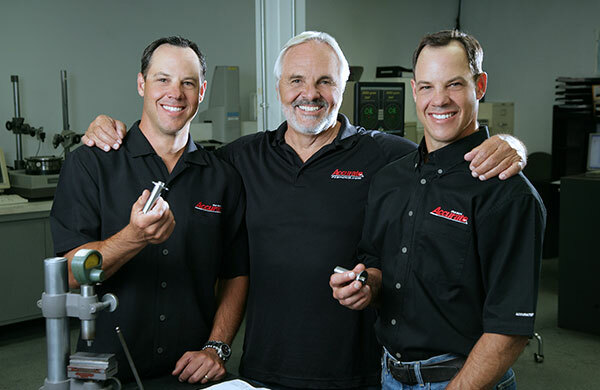 To meet increased production demands and better serve its customers, Accurate Grinding & Manufacturing Corporation completed a move to Corona, California in June 2002. Accurate purchased its new facility — a 30,000 square-foot tilt-up building — and completed its move in late June after relocating from its former 12,000 square-foot building in downtown Los Angeles. “Our new facility now not only provides us with the operating space needed to maximize production of our reels and other tackle items, but also gives us the room necessary for further expansion of our market, as our sales continue to indicate,” says David Nilsen, co-owner and design engineer for the company. Design, manufacturing, assembly, inventory, administration, customer service and repair operations are all housed in the new Corona facility, according to Nilsen. To maintain its prominent role in the aerospace-components industry, Accurate maintains a policy of equipment renewal which insures on an on-going basis that new equipment is added as technology continually improves. “Our philosophy about machinery is that a motivated, stable, work force, provided with top-of-the-line equipment, will produce an excellent product and ontime delivery,” says Jack Nilsen.